For more than 300 years the world’s nations have kept a count of their population on a regular basis. From the United Kingdom to the United States, census records are an essential took for family history research. 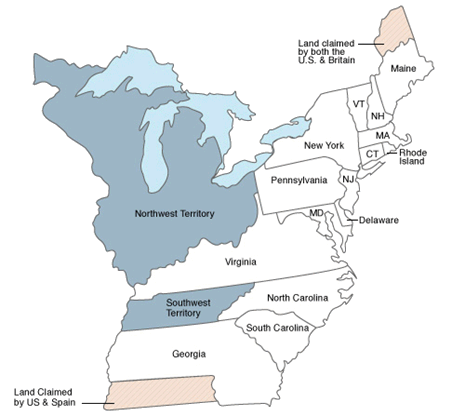 The first United States census performed was in 1790 and with little exception is available for research every ten years thereafter up to the 1940 census (released on April 2, 2012). Census records often include the names of all members of a household, their ages and birthplaces, and other important information. Birth, marriage, and death records (otherwise called vital records) are key tools for anyone searching their family tree. The United States keeps its vital records by state (no nationwide index exists). In most cases, vital records were recorded from the 1880s to the present, though there are some exceptions. In many cases terrific and unique sources for family history exist in your own home – or in the homes of relatives family bibles, letters, diaries, and other materials might be stored on bookshelves or in attics and contain priceless information. Obtaining copies of these materials is an important part of your research. In many families a distant relative might have worked previously on the family tree and might have these (and other) materials close at hand, so make sure you reach out to the extended family for help in your research. Newspaper archives offer a glimpse into the day-to-day lives of our ancestors. Notices of births, engagements, marriages, deaths, and obituaries are often included within their pages. Early newspapers from all over the world captured the pulse of the time and reflected the beliefs of the people. Learn about your ancestor’s hobbies, work accomplishments, community involvement, bizarre community tales and how major historical events affected local communities. See also U.S. and World Newspapers, our collection of British Newspapers, the Australasian Newspapers, Directories, and Social History Records and Irish Newspapers, Directories and Social History Records. From the colonial times to the present day our ancestors have often taken up arms to protect themselves, their family, and their nation. Records from World War I, World War II, the Vietnam War, Korean War, US Army Casualty File, and other conflicts offer untold resources for family history. Enlistment records can include information on birthdates and birthplaces, while also providing a clear physical description of an ancestor.People with UK ancestry will want to search British Army records and Irish Military Service records , which also include detailed information documenting an ancestor’s life, including their military service, family, and occupation. The religious affiliations of a family offer important clues for researchers. For the most part churches kept their own records, usually by parish or congregation. Confirmation, marriage, and burial registers for many of the world’s churches exist and can be used for family history research. Nations with one recognized state religion often offer a wider range – such as with Austalasian or Ireland sources– of church records. Other records found within church registers include minutes, diaries, and other administrative records that provide a unique and personal look at our ancestors. Tracing the arrival of an ancestor to the United States is an important project for family historians. While passenger lists were not widely kept during the colonial times, many historians and other researchers have worked to reconstruct these lists. On the contrary, Outbound passenger lists leaving the UK are comprehensive sources to find ancestors from all reaches of the world travel to new homes and new opportunities in the U.S., Canada, UK, Ireland, Australia, New Zealand and beyond. The majority of immigrants to the U.S. came through the port of New York (New York (Castle Garden and Ellis Island) though thousands others came through other major ports such as Baltimore, Boston, New Orleans, Philadelphia, and San Francisco. View U.S immigration records on findmypast. Directories for cities, towns, and counties offer a wealth of information for family historians including addresses, occupations, and other details. Local advertisements for various services including local blacksmiths, auctioneers, doctors, and more provide a glimpse at the lives of our ancestors. City directories can also sometimes include religious and political affiliations, marital status, and other personal details not found in other sources. Records from the nation’s courts are important resources for family history. Whether your ancestor was a plaintiff, defendant, witness, or juror member court records can play a key role in research. Other key materials found within court records include adoption, guardianship, name changes, and divorce records. Multiple courts (including county, municipal, federal, and state) exist throughout the United States and each provides their own unique set of records to search. 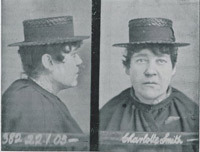 Criminal records for crimes small and large add vivid detail to a family tree. Search Crime, Prisons and Punishment for extensive family history from England and Wales. Also explore findmypast's exclusive Irish Petty Sessions order books, which deals with minor infractions that touched many people's lives dating from 1828 to 1912. Starting in 1790 the United States allowed immigrants to the country to become naturalized citizens. Though the process has changed over the years, naturalization records still remain a fundamental resource for tracing your family history. While the process was difficult, these records can include detailed information relating to an individual’s arrival in the United States, include the date and ship used. Other personal information can include the birthdate and birthplace, the town and country of origin, names of relatives or other acquaintances. Photographs and other memorabilia are important resources for those researching their family history as they provide a personal “look” into the lives of our ancestors. For example, the clothing and furniture in a photograph can yield clues regarding someone’s occupation or trade, place of origin, or other details. Albums and other collectible items are often treasured and passed down to family members through the years. Living relatives are a rich source for family history materials. While their stories can provide names, dates, and relationships – they often provide a unique personal perspective of an individual. Recording and sharing the memories of living relatives is an essential source for anyone pursing their family history. Listen to our modern take on oral histories with the findmypast's podcast, which explores family history topics, tricks and stories to dig deeper in your family history search. Records which detail the daily activities of an individual can be key to identifying relationships, missing dates and places, and in exploring the lives of our ancestors. These family history records include the records of businesses, union records, poorhouses, and workhouse organizations. See United Kingdom Education and Work records for information on apprentices, the merchant navy, workhouse and other records that depict your ancestors' daily lives. Taken on a frequent basis, tax records are important for researchers. As some tax lists were taken each year, they are often used as a substitute when census records have been lost or destroyed. Many of our ancestors paid real and personal property taxes, as they were taxed for any land they owned (real property) as well their livestock, equipment, and other items (personal property). See the Dorset Hemp and Flax Growers and the Land Tax Billinghurst, Sussex collection. Tombstones often include birth and death dates of our ancestors. Therefore cemetery listings are important tools for genealogists. As some tombstones have been lost or destroyed, historical cemetery transcriptions can provide important information not available anywhere else. Other information found in cemetery records includes names of spouses or children, countries of origin, religious affiliations, military service, and other personal details. Search the Australian record collection Victoria Burials and Memorials. Starting in the 1850s thousands of family histories have been published containing millions of names, dates, stories, and interest connections. Many of these genealogies focus on a specific surname – or immigrant to the United States – and trace their descendants throughout the United States and the world. While many of these publications require verification against other records (such as vital records) they provide an important starting point for many interested in family history. Wills provide a goldmine for anyone researching their family history and are often used to link generations together and identify other siblings or children of an ancestor. If an ancestor died without writing a will (intestate) probate courts were charged with identifying and locating their heirs, leaving a trail of information useful to every family historian. Other wills and probate records include estate inventories, often listing furniture, clothing, books, and other possessions in a household and guardianship records, which document any court-appointed guardians for underage children of the deceased. Records which detail the sale and transfer of property hold important clues for genealogists. Land records can often document the relationships between two individuals, or be used to tell individuals with the same name apart from one another. Deeds, often found in local courthouses document the transfer of property between two parties and are an excellent “first step” when looking for land records relating to an ancestor. Visit findmypast's Australasian Census, Land and Surveys records, which include patents, grant, and bounty land collections. Often covering specific towns or counties, local printed histories offer a vast array of genealogical and historical information. Some publications include sections of family sketches and can include information not readily found in other sources. Other chapters might include details on local churches, cemeteries, military heroes, early settlers, and other relevant facts. While not widely available online, the records of funeral homes and mortuaries often provide unique tidbits for family history researchers. Copies of obituaries, funeral programs, and lists of relatives are often found within these materials. Records are sometimes passed on when a business closes and can be available to examine when researching onsite. Search the Queensland and Victoria funeral notices on findmypast.com.